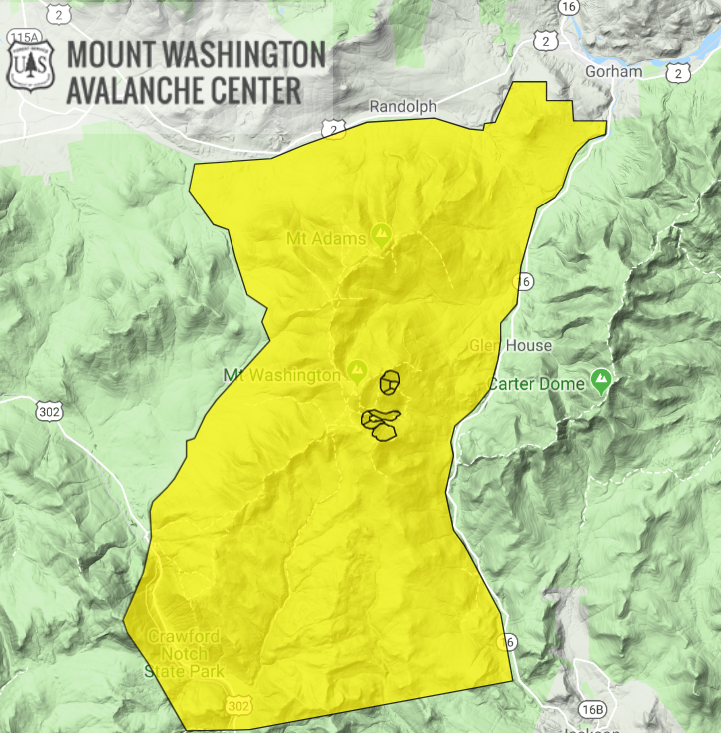 The Mount Washington Avalanche Center map showed moderate avalanche danger on April 16. A snow ranger who worked to dig a skier out of an avalanche on Mount Washington heard him moaning from beneath the snow and eventually determined he was in a seated position with his lower legs and feet buried about 6 feet down, a report said. The report noted that Benedix had taken many of the steps to stay safe. "He had an avalanche education under his belt, he carried a ski repair kit, extra layers, plenty of water, and a first aid and survival kit," it said. "He was wearing a beacon and carrying a probe and shovel. Unfortunately, no one was watching from a safe location while he skied the slope, ready to rescue him before time ran out." The spokesman said the avalanche was approximately 135-feet wide at the crown.